40 BCS Circular Download | www.bpsc.gov.bd. 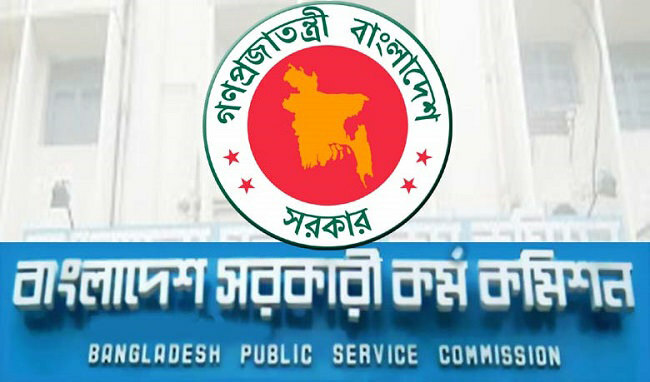 Bangladesh Public Service Commision is going to publish 40 BCS Circular today. More than two thousand cadres will be appointed through 40 BCS. BPSC being the fairest organization is arranging BCS examination every year. At present BPSC is working for 40, 39 and 40 BCS examination. 40th BCS Circular, 40 BCS Application form, 40 BCS Preli Result will be found here. 1) At first go to http://bpsc.teletalk.com.bd. 2) 40 BCS Advertisement, Instruction for submitting application form will be found. There are three categories of application format. .1.Application From for General Cadre .Application From for Technical/Professional Cadre 3. Application From for General Cadre and Technical/Professional Cadre (Both). Click on the radio button of you desired category and BPSC Form-1 will be visible. 3) Fill up the application form [BPSC Form-1]. Online Application Form [BPSC Form-1] can be opened through Internet Explorer/Mozilla firefox/ Google Chrome/Opera Browser. 4) Scan a colored picture of less than or 300X300 pixel, file size less than 100 KB and upload in JPG format. 5) Scan a signature of less than or 300X80 pixel, file size less than 100 KB and upload in JPG format. 6) After successfully filling up and submission the BPSC Form-1 the applicants will be provided with a User ID and Photo & Signature which should be printed or downloaded. First SMS: BPSC[Space]User ID and Send to 16222. A reply SMS will be sent with application fee and a PIN number. Second SMS: BPSC[Space]Yes[Space]PIN No and Send to 16222. After sending the 2nd SMS a reply will be sent with confirmation and User ID & Password. Go to the home page and click on the Admit Card Menu. User Recovery and Password Recovery button will be visible. Send SMS: BPSC[Space]BPSC[Space]Help[Space]SSC Board[Space]SSC Roll[Space]SSC Year and Send to 622. 40 BCS Preliminary Exam Date will be notified here timely. 40 BCS Preli Result will be found here just after publication. Like Our Facebook Fan page facebook.com/resultnotice to get the latest updates of 40 BCS and get further updates. This entry was posted in BCS, BPSC, Job Circular and tagged 40 BCS Circular, 40 BCS Preli Result, 40th BCS Circular, bpsc.teletalk.com.bd, www.bpsc.gov.bd by Result Gov BD. Bookmark the permalink.